Totalization of the electric energy in the industry for each single line or machine. Measurement of energy generated by renewable sources such as solar, eolic, etc. Accounting and billing of consumptions in camp sites, malls, residential areas, naval ports, etc. Totalization of the electric consumption in hotels, congress centers, exhibition fairs. Accounting of the consumptions in buildings with executive office services. Internal allocation of the consumptions in timeshare civilian and industrial buildings. Realization of energy monitoring systems. Remote survey of the consumptions and compute of the costs. Measurement of the electrical energy in the industry for each single line or machine. Measurement of energy generated by renewable sources such as solar, wind, etc. Accounting of consumptions in camp sites, malls, residential areas, naval ports, etc. Counting of the electrical consumption in hotels, congress centers, exhibition fairs. The 204 with option "RGW" can be combined to the 150 Rogowski coil. 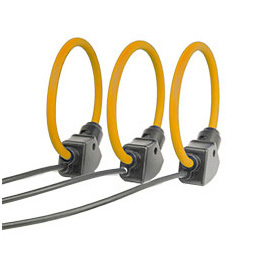 Three-phase 3-wire or 4-wire unbalanced load operation. True rms metering provides accurate measurement even for distorted waveform. Fully bidirectional, four-quadrant values on serial communication port. 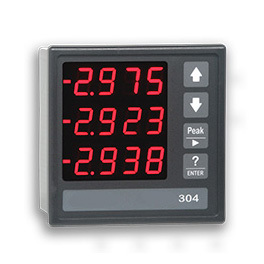 More than 50 electrical parameters measured (instantaneous, demand, peak values, energies, etc.). Direct measurement up to 600 (750) VAC. High contrast bright, easy to read, LED display. 6 parameters displayed simultaneously give the complete situation of the electrical line at first sight. Password protected setup and resetting operations. RS232 or RS485 optoisolated communication port. MODBUS or A2 ASCII protocol. Communication speed programmable up to 57600 bps. Two digital outputs for energy pulsing. Maximum overload: 10 ARMS continuous - 100 ARMS for 1 sec. Switchboards, gensets, motor control centers, etc. The 210 with option "RGW" can be combined to the Rogowski coil 150. Single phase and three-phase 3-wire or 4-wire unbalanced load operation. More than 35 electrical parameters are measured. 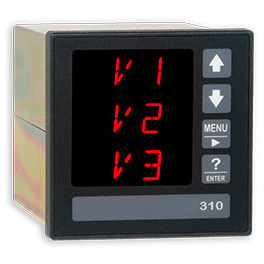 The basic version displays on the LCD the system values for a quick and easy check of the load conditions. The table on the right shows the measured parameters and the available options. Programmable 1A / 5A current full scale allows to fit the standard CTs. Two keys ensure the selection of the information on the LCD display and the instrument programming. RS485 optoisolated communication port (option). Selectable MODBUS or A2 ASCII protocol. LONBUS protocol on request. Communication speed programmable up to 57600 bps (78 kbps in case of LONBUS). Two digital optoisolated outputs for energy pulsing. The pulse value is programmable. On request input for Rogowski coils. Wrong current transformer polarity and phase sequence connection errors are indicated on the LCD display. 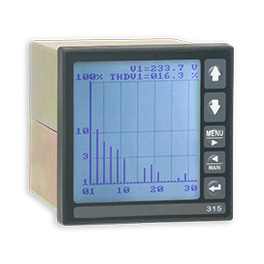 Over / undervoltage, overcurrent and frequency out of range are detected to indicate the uncorrect working conditions. Pulse emission frequency too high or CT too high are checked to indicate programming mistakes. (1) The basic instrument is powered from L1, L2, L3 and N (4-wire version) or L1, L2, L3 (3-wire version). 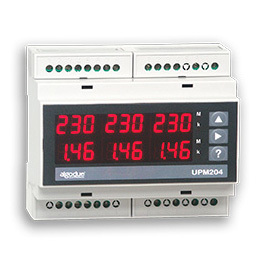 The presence of only one of the three phases (4-wire version) or two phases (3-wire version) ensures the normal counting and displaying operations. (2) The serial port is powered from L1 and N (4-wire version) or L1 and L2 (3-wire version). The communication function is ensured only if the L1 phase (or L1 and L2 for 3-wire) is present and within the specified range. The 215 with option "RGW" can be combined to the 150 Rogowski coil. Single-phase and three-phase 3-wire or 4-wire unbalanced load operation. Volts, Amps, Power, PF, Frequency, Energy, Min/Max values, Demand and more. Individual & total harmonic distortion for voltage and current up to the 31st order. Programmable PT and CT values. 128 or 512 kB non-volatile memory for data storage. Programmable start/stop time of recordings. Wraparound or Fill (FIFO/Stack) selectable recording mode. Min/Avg/Max logging every 1, 5, 10, 15, 30, 60 minutes, programmable up to eight selectable parameters. Total and daily energy consumption recordings are stored more than 300 days. Selectable MODBUS or A2 ASCII protocol. 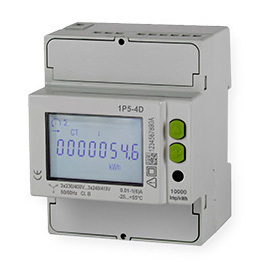 Up to 4 digital outputs for energy pulsing or for alarm tripping. Real time waveform downloading via communication port. This function allows to represent graphically on the PC the three voltages and the three currents with 128 samples per cycle. Real time clock with battery backup. Calculation of capacitor bank value for PF compensation. Maximum overload: 10ARMS continuous - 100 ARMS for 1 sec. The 304 with option "RGW" can be combined to the 150 Rogowski coil. Fully bi-directional four-quadrant values both on serial communication port and display. More than 60 electrical parameters measured (instantaneous, demand, peak values, energies, etc.). On request THD calculation on voltage and current. Programmable 1A / 5A current full scale. Programmable CT & PT ratios. Up to three parameters displayed on the same page, with four digits plus sign digit. Password protection for setup and reset. Optional built-in Profibus, Lonbus, Ethernet interfaces. Two digital outputs for energy pulsing or for alarm tripping. The 310 with option "RGW" can be combined to the 150 Rogowski coil. Individual & total harmonic distortion for voltage and current up to the 50th order. Two slots for plug-in option boards. The transducers version and the compact DIN 96 instrument allow various mounting combinations to fit the requirements of new installations as well as retrofit applications. The “Physical configurations” page shows the mounting combinations. 128 kB or 2 MB non-volatile memory for data storage. Total and daily energy consumption recording. The individual consumptions are stored more than 300 days. Event, alarm and digital outputs ON/OFF recording. Both RS232 and RS485 included in the basic unit. The selection is made by dip-switches. Optional 10/100 Ethernet, Profibus or Lonbus interfaces. Up to 6 digital outputs for energy pulsing or for alarm tripping. Two digital optomos ML outputs are included in the basic unit. Up to 4 analog outputs 0-20 or 4-20 mA. Direct communication through Ethernet / Internet network using MODBUS or A2 ASCII protocol. The 315 with option "RGW" can be combined to the Rogowski coil 150. Fully bidirectional, four-quadrant readings. 10 energy counters are available, the apparent energy is splitted in four counters: import lagging, import leading, export lagging, export leading. Volts, Amps, Power, PF, Frequency, Energy, Min/Max values, Demand, Harmonics, etc. The full version instrument provides more than 600 measured/calculated parameters and shows on the LCD more than 35 graphical pages. Individual & total harmonic distortion for voltage and current up to the 50th order. The harmonic content is represented like even, odd and total. Advanced waveform capture function. The instrument can store, after a trigger, up to 200 waves with a resolution from 16 to 128 samples (depending on the number of waveforms). The trigger can be programmed on a digital output change, on a set point crossing or the capture can be started from the keypad. The stored waweform is downloadable through the communication port. Two slots for plug-in options boards. The compact DIN 96 instrument allows to fit the requirements of new installations as well as retrofit applicationsi. The excellent graphical display performs clear graphical representations allowing an immediate comprehension of the measured parameters. The voltage and current waveforms, the harmonic spectrum and the phasor diagrams are displayed. Moreover 6 measured values can be represented as a graphical trend on the display. The scale of the trend can be selected between 15 min, 1 hour, 1 day and 1 month. Min/Avg/Max logging every 1, 5, 10, 15, 30, 60 minutes, programmable up to 8 selectable parameters. Total and daily energy consumption recording. The consumption of more than 300 days is recorded. Time-of-Use (TOU) programmable data recording. 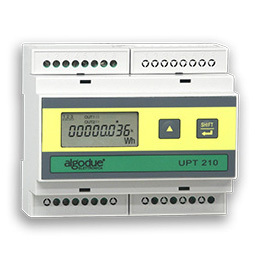 The TOU function stores the energy consumption in different registers according the programmed time-scheme. A group of 200 registers gives the situation of the previous and current day, and of the previous and current month. This feature is designed to fit different tariff structures. It’s possible to program up to 10 daily tariff schedules containing up to 3 tariffs and 8 tariff changes. Each schedule can be assigned to the days of the week and months as requested. Up to 20 holidays can be assigned to the lowest tariff. A diagnostic algorithm checks and notifies any setup overlapping. In case of more than one electricity supplier, if three tariffs are not enough it’s possible to start from the recorded demand values instead of the daily ones. Each value is recorded with date and time and can be exported for example, in .xls format. This allows to create a flexible map that considers the different electricity suppliers. The DMD value is the AVG value (see programmable recordings). 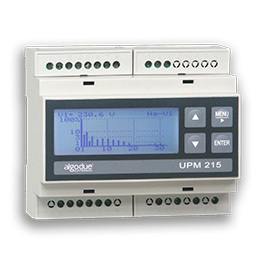 In case, UPM315 can be customized with up to 5 tariffs (only on request). Event, alarm and digital outputs ON/OFF recording. The instrument records the status change of 8 programmable set points, the digital outputs ON/OFF and the instrument supply ON/OFF. All the events are integrated by date and time reference.. Both RS232 and RS485 included in the basic unit. The selection is made by dip-switches accessible from outside. In case of 10/100 Ethernet interface, direct communication through Ethernet / Internet network using MODBUS or A2 ASCII protocol. On-board HTML web page server using A2 ASCII protocol. No.1 programmable user page with 6 parameters selected among measured values. Five alphanumeric characters password to avoid unauthorized setup access. Downloadable firmware via serial port. Three-phase 3-wire or 4-wire unbalanced load operation, bi-phase and single-phase. Fully bi-directional, four-quadrant readings. 10 energy counters are available, the apparent power/energy is splitted in four counters: import lagging, import leading, export lagging, export leading. Volts, Amps, Power, PF, Frequency, Energy, Min/Max values, Demand, Harmonics, etc. The full version instrument provides more than 600 measured/calculated parameters and shows on the LCD more than 30 graphical pages. CPU2 option - the co-processor board performs the simultaneous high-resolution sampling of voltage and current, allowing the cycle-by-cycle power analysis for 50/60 Hz lines. The CPU2 board supports different application like: VDROP, VMAX, WCAP... (see below). The instrument with CPU2 board performs at the same time the wattmeter functions, the harmonic analysis, the basic recording function and the selected cycle-by-cycle power analysis function. VDROP option - sags & swells detection on L-N voltages with half cycle resolution (10ms @ 50Hz). Pre- and post-trigger logging (100+100 half cycles RMS values). The detected events are recorded. This data is viewed on the PC according EN50160 standard. VMAX option - two functions are selectable: VDROP (previous paragraph) and Min/Avg/Max values calculation and recording with one cycle resolution (20ms @ 50Hz). This function allows to record up to 10 parameters selected among voltage, current, power, PF and frequency. The data is viewed on the PC according EN50160 standard. WCAP option - advanced waveform capture function o currents and L-N voltages. In case of single trigger the threshold mode is programmable as voltage or current; in dual trigger the threshold mode is fixed including both parameters (voltage¤t), allowing the waveform capture in case threshold overcoming both for voltage and current. The instrument can store up to 10 + 200 waveforms before and after a threshold overcome, with a resolution from 8 to 32 samples (depending on the number of waveforms). The WCAP option includes a second selectable function: Min/Avg/Max values calculation and recording (see previous paragraph). 2 MB non-volatile memory for data storage. 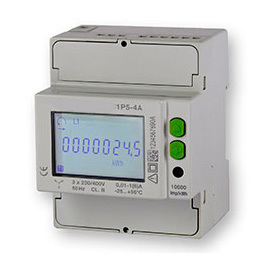 - import/export active, reactive and apparent power demand with programmable average time. - instantaneous read values selected between the main parameters. The recording interval time is programmable between 1 and 9999 seconds. - instantaneous min/max values measured during the recording interval time. The recording interval time is programmable between 1 and 9999 minutes. - voltage and current harmonic values measured during the recording interval time. The recording interval time is programmable from 1 to 60 minutes. Time-of-Use (TOU) programmable data recording. The TOU function stores the energy consumption in different registers according the programmed time-scheme. A group of 120 registers give the situation of the previous and present day, and of the previous and present month. This feature is designed to fit different tariff structures. It’s possible to program up to 10 daily tariff schedules containing up to 3 tariffs and 8 tariff changes. Each schedule can be assigned to the days of the week and months as requested. Up to 20 holidays can be assigned to the lowest tariff. A diagnostic algorithm checks and notifies any setup overlapping. Event, alarm and digital outputs ON/OFF recording. The instrument records the status change of 8 programmable set points, the digital outputs ON/OFF and the instrument supply ON/OFF. All the events are integrated by date and time reference. - sags and swells events (VDROP option). The occurring dips and overvoltage over a programmable threshold are detected and the instrument records the date and time of the event, the lenght and the RMS value of 100+100 half-cycles before and after the event. - min / avg / max values of the main measured parameters with continuous sampling and 1 cycle minimum resolution for RMS calculation. 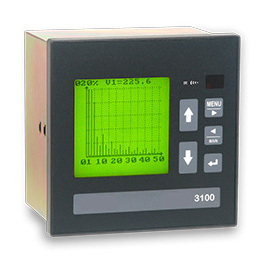 The resolution is programmable between 1 and 99 cycles to simulate the recorder response time as needed. The programmable average time defines the time interval between recordings. - more than 200 waveforms when a programmable --threshold is overcome (WCAP option). The instrument records up to 10 + 200 waves before and after the trigger, with the time reference. The resolution is programmable from 8 to 32 samples / cycle. Four slots for plug-in options boards. On-board HTML web page server or direct communication through Ethernet / Internet network using MODBUS or A2 ASCII protocol. Five alpha-numeric characters password to avoid unauthorized setup access.